Gebracht. Guter Zustand und 6 Monate Gewährleistung. 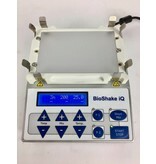 The BioShake series allows for highly precise and efficient mixing in the microliter scale for a wide range of applications. Thanks to the adjustable speed of 200 up to 3,000 rpm a vigorous homogenisation even of small volumes is possible and far superior to other mixers on the market. 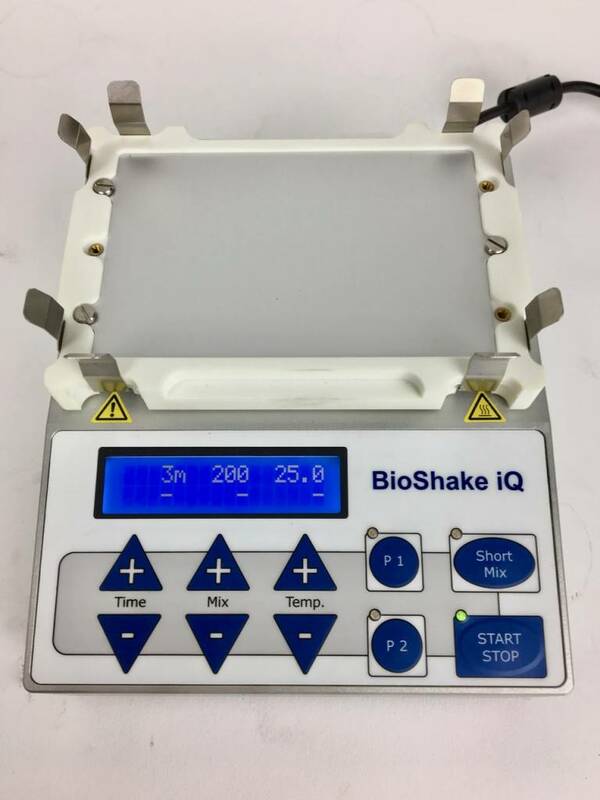 The BioShake iQ comes with an very accurate heating technology. This allows highly reproducible results. The temperature range from RT to 99 °C is adjustable in 0.1 °C steps. The temperature accuracy is ±0.1 °C, the temperature uniformity through all samples is better than ±1 °C.